Taking risks. Going against the crowd. Standing alone. Making a difference. There are so many throughout the Scripture who fit the above description. Each one dared to risk being vulnerable to the mission of God’s plan. They were all a huge success in God’s eyes. They were each focused on the goal – that one thing God had called them to. My daughter pitched her first game tonight. 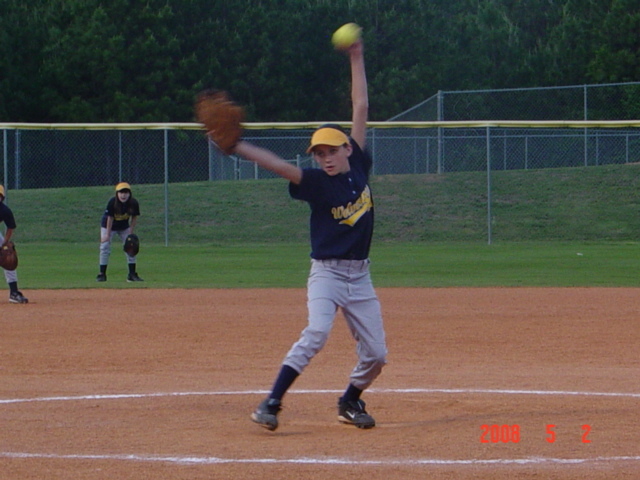 7 strikeouts (that’s the number I last remember), walked 3 batters, caught 2 pop ups and threw out a batter at first. They won the game 7 to 4. She also got a base hit and scored a run. I am a proud Dad tonight to say the least!! For a few years now, she has wanted to pitch. She has held this dream inside her all this time. Tonight she got her chance to stand out in the middle of that diamond and give it her best. Her best is what everyone got to see… her best was beautiful to watch. My daughter has always been determined to take risks, go against the crowd, stand alone (if necessary), with the goal of making a difference.